Profiting from care – will greater externalisation lead to more incidents of abuse? Recent reports exposing some appalling practice in privately run care homes, along with the on-going Southern Cross saga, are calling some to question whether councils should turn back and embrace the control offered by in-house services. Does the profit motive mean that corners will always be cut and that safety and dignity will often suffer? In-sourcing to take back greater control of the quality of care provision is not an option being considered because of the increased costs – in fact a large number of councils are currently trying to squeeze external rates even further. So how can cheaper services go hand in hand with safety and dignity? 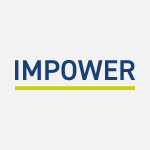 IMPOWER are working with a number of councils to try and answer this question. The appropriate response will be different depending on local circumstances. It could mean changing relationships with suppliers, new roles for commissioning and contract compliance or an honest appraisal of the risks involved in each service delivery option. It could result in a decision to keep some services in-house, working hard to make them as productive as possible but accept the marginal cost as the unavoidable side of a desire for greater control over the service delivered. For those authorities re-tendering for services with a drive for cost reduction, there will be a need to think very clearly about how an acceptable quality of service can be specified, monitored and incentivised. Perhaps the one good thing that may come about from recent scandals and the media coverage and heightened public attention that has followed will be greater thought about the quality implications of social care efficiency programmes. Anyone can produce a business case to slash care costs but doing so without any serious impact on quality is a much more challenging task. As the pressure mounts to cut the cost of commissioned services, increase the utilisation of in-house services and implement internal restructures that strip out commissioning staff and contract compliance officers, how will authorities effectively ensure safety and dignity? Hopefully this question will now be given greater consideration to avoid the naïve externalisation of services to bargain bidders which will be accompanied by a slashing of quality, a huge increase in risk and a host of management problems for councils. Whatever their position on the spectrum of in-house – external service delivery, every authority is going to have to grapple with this issue over the next twelve months. How do you see the local government’s relationship with the independent sector changing?